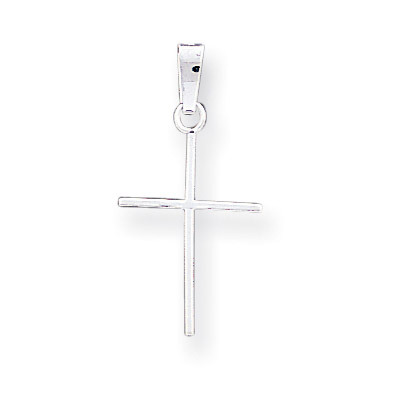 Women's 14K solid white gold cross charm pendant, measuring 25mm x 12mm in size (including hoop/bale combination). "For sin shall not have dominion over you: for ye are not under the law, but under grace" (Romans 6:14). We guarantee our Small 14K White Gold Cross Charm Pendant for Women to be high quality, authentic jewelry, as described above.